The endowment, one of the largest it has ever received, was made by Charlene and J. Orin Edson. The couple already runs a foundation that supports the Mayo Clinic and the ASU Foundation and a cancer research center in Seattle, according to nonprofit filings. The money will be divided evenly between the Biodesign Institute and the College of Nursing and Health Innovation, which will be renamed after the Edsons. At the nursing college, the funds are expected to go toward bolstering programs and faculty. They include fellowships to train clinician-researchers and the creation of a chair who will work toward making ASU the lead in nursing education and health care simulations. The Biodesign Institute will use its share to concentrate on researching dementia causes to help with early treatment and prevention. The money will also fund three postdoctoral fellowships for fellows to help mentor young scientists. The Edsons declined an interview request. 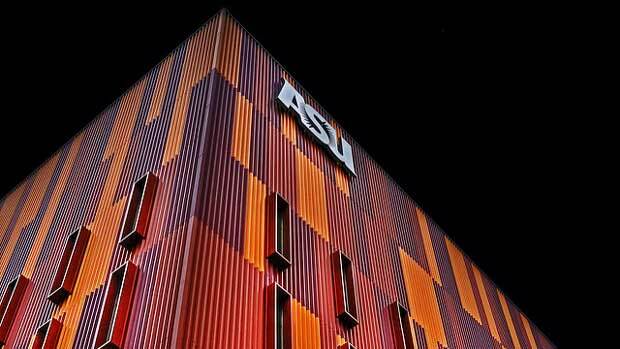 But, in a statement, the family said it supported ASU’s interdisciplinary approach to research. “We look forward to new discoveries and solutions to better the quality of life for people affected by brain disease and the heartache of those that love them,” the Edsons said. It was not clear why the couple chose the Tempe-based campus. Neither is an alumnus. According to a 2005 Forbes magazine article, J. Orin Edson’s wealth included investments in stocks, bonds and Arizona real estate. His estimated $1 billion fortune was rooted in manufacturing boats. He sold his company, Bayliner Marine Corp., for $425 million in 1986. He also became a partner in a yacht-making company that he sold in 2014. The endowment is the latest in recent big-money gifts the university has received. The school received a $30 million donation last year for its public service college and a $25 million gift earlier this year for the business school.